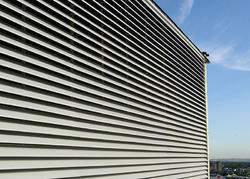 Manufacturer of a wide range of products which include louvers and air louvers. Louvers. Fully built in galvanized, coated finish and brushed aluminum outer support frame. Installation in areas for which you need a free entry or exit of air with aesthetic architectural design: shopping centers, industrial buildings, warehouses, etc.. Optional accessory: Mesh net. 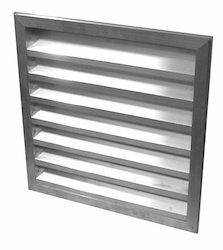 Air Louvers Fully built in galvanized, coated finish and brushed aluminum outer support frame. Installation in areas for which you need a free entry or exit of air with aesthetic architectural design: shopping centers, industrial buildings, warehouses, etc..